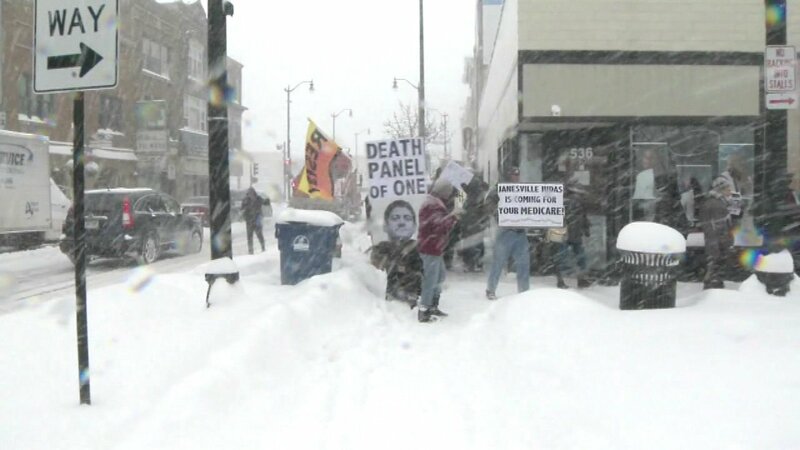 RACINE, Wis. (WLS) -- A group of Chicago activists and seniors headed north to snowy Racine, Wisconsin, on Tuesday to protest House Speaker Paul Ryan's GOP healthcare plan. The group Fair Economy Illinois joined others in a protest outside the senator's office. They want Speaker Ryan to drop his healthcare plan and expand Medicare. Speaker Ryan wants the GOP plan to replace the Affordable Care Act. The plan was released last week. "Paul appreciates hearing the opinions and feedback of his constituents, he fully respects their right to voice their concerns, and he hopes any future demonstrations will continue to be conducted in a peaceful and civil manner," said a spokesperson for Sen. Ryan.